MainAll NewsDefense/SecurityWas Ansbacher only missing person murdered by Arab terrorists? Was Ansbacher only missing person murdered by Arab terrorists? Joint exercise between Israel Dog Unit, Afula police, and United Hatzalah simulates missing person incident evolving into terror attack. 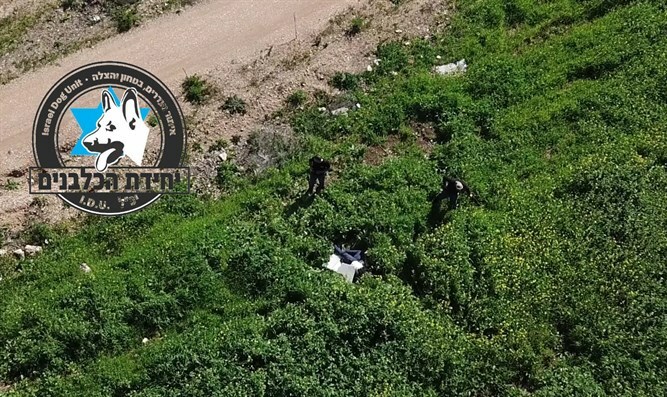 A joint exercise between the Israel Dog Unit (IDU), Israeli police in Afula, and United Hatzalah simulating a missing person incident that evolves into a terror attack, shows how on-edge authorities in Israel are after the brutal murder of Ori Ansbacher last week. Wednesday’s exercise came less than a week after Ori’s murder and was dedicated to her memory; modeled after her tragic case. The Israel Dog Unit, the lead Israeli Search and Rescue Unit based out of Kfar Tapuach in the Shomron is regularly approached by police, fire dept. and army officials to aid in the most high-profile searches throughout Israel. They have partaken in more than 600 such searches in recent years. It is then natural that the IDU was also called to aid in the search for Ori, initially treated as a standard missing person incident, similar to thousands of other incidents reported annually in Israel. 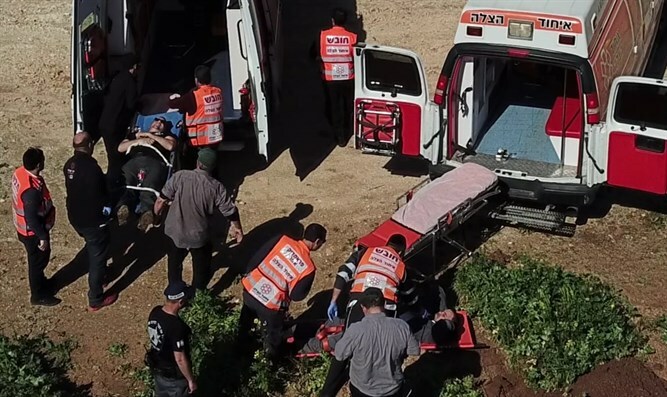 However, the case like many others evolved as new information trickled down to the command center in the Ein Yael Jerusalem Forest near the Biblical Zoo that was headed by the Etzyon Search-and-Rescue unit. When Ori was found dead, the search immediately transformed into a manhunt for the murderer who stabbed the 19-year-old Tekoa resident to death after mutilating her body. Yesterday’s Afula police/IDU/United Hatzalah joint exercise succeeded in establishing a unified command center set up by the Afula Municipality that combined IDU drone-and-dog searches together with police and Hatzalah medics. Five search teams were formed. Each team consisted of an IDU commander, dog handler, and navigator with his SAR dog, an Hatzalah medic, and several municipal policemen. Each team was given an area to search after every searcher downloaded an application on to their phone that monitors and broadcasts their movements to the command center. The application, known as MAMAN, was developed by the IDU technology department over recent years and is considered one of the leading SAR resources in the world, allowing interaction between searchers and command center. The movements of each searcher and their dogs are seen live on a monitor in the command center tent and saved for future analysis. Afula Police Captain Maor summarized: "While the main purpose of the mission is not only to find the missing person, treat the wounded, and seek the terrorist - all which was done effectively and successfully; the greater purpose is to practice synchronizing and working together. 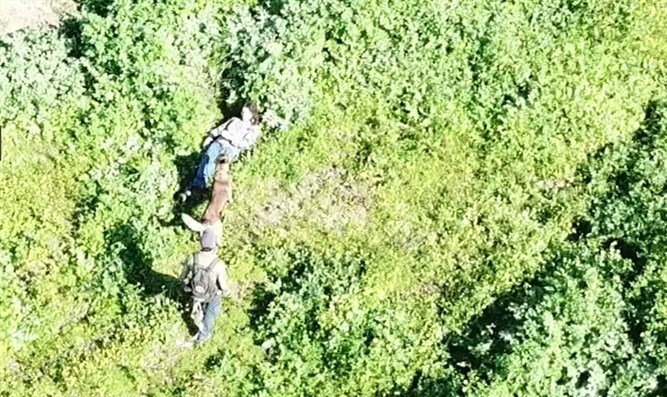 The drone needs to broadcast its findings to the land crews, the dogs need to sniff and locate the persons being searched for, and the teams on the scene need to communicate their findings and pin-point location to the ambulance, etc." The exercise was declared a success. However, spectators left asking themselves how many missing people were faced with a similar fate to that of Ori Ansbacher, and to the case police modeled after her case? Every year 4,000 people are reported missing in Israel. Each and every year 30-50 of those people are never found. Some 700 people missing from the founding of the State until now have never been found. How many of them may have been murdered or abducted by Arab terrorists? A.S. disappeared in Haifa 4 years ago, several weeks after he had been injured and hospitalized by local Arabs. He claimed before his disappearance, “The Arabs told me I couldn't walk by their block. I told them, ‘This is my land.’ They severely beat me up, saying, ‘This is Palestine.’” When A.S.’s sister demanded to know if police had arrested the Arab gang for questioning, they said they were not suspects. There is no shortage of proven terror incidents that were initially denied by police to have been connected to terrorist motives. Right-wing politicians were angry with the Shin Bet and police for taking as long as they did to declare the Ansbacher case to have been a terrorist and nationalist hate crime. Some Likud and Jewish Home Knesset members blamed the police for engaging in a cover-up to sedate and pacify any Jewish call for vengeance. If authorities are holding exercises to simulate missing persons cases evolving into terror incidents, surely they accept the likelihood of recurring cases of that nature. It may be reasonable to allow that some of those 600 missing people who have disappeared since 1948 might have been abducted or killed by Arab terrorists. Ben Yakov concluded, "When friends of mine ask why we focus so much of our resources on missing person cases in addition to the security dogs dispatched in 'settlements'. Why not allocate all resources solely to IDU canine security operations? I always remind them that rescuing and saving a Jewish life is what counts, regardless of what the circumstances are. That is the definition of Ahavat Yisrael; loving a fellow Jew. And this is an area where we make a real difference and where we're needed, which is not being covered properly by any official Israeli agency. Additionally, who knows just how many of these cases, are in fact, terror related? When we help solve a terror-related missing-person case, it's not just saving a life or recovering the body of a missing Jew. Who knows how many future lives can be saved by helping to apprehend the terrorists responsible?" The Israel Dog Unit has found dozens of missing people in recent years in its SAR department and has helped prevent terrorist attacks with its security dog patrols and by dispatching hundreds of dogs to security personnel in Judea and Samaria communities. The IDU operates a kennel and academy for dog training in Kfar Tapuach, housing volunteers, lone soldiers, and youth-at-risk in their dormitory facilities on the Tapuach Kennel Campus. Many Olim have immigrated to Israel, starting their journey back to Israel as volunteers in the IDU.